The best advice anyone has ever given me was to start taking care of my skin in my mid-twenties. I always thought that skincare was something I would need to worry about when I would be in my ’30s or ’40s. Thankfully my esthetician took me under her wing and educated me in proper skin care and helped me by guiding me to what products to use. Since then, I think you already know I have become a bit of a beauty junkie. I actually own more skin products than shoes, but we can discuss this another time. 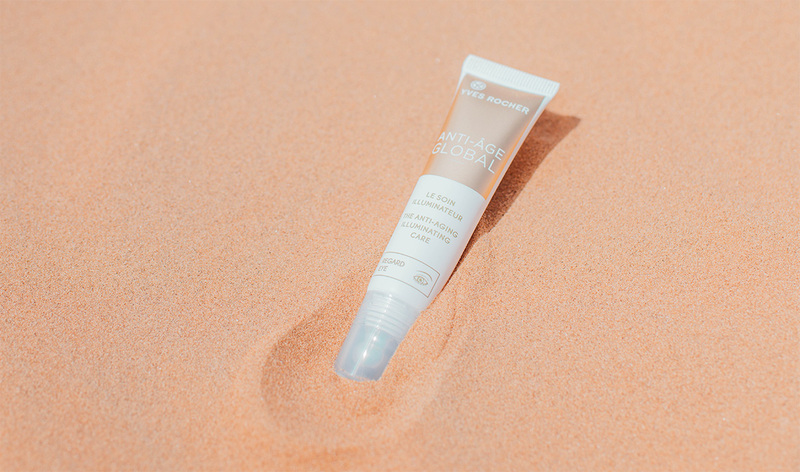 Did you know your skin will wear and tear from environment, stress and sun damage? For a mom of twin toddlers, who also lacks the proper 8 hours of sleep a day, adding a fourth factor increases the chances of my skin wearing and tearing even faster. 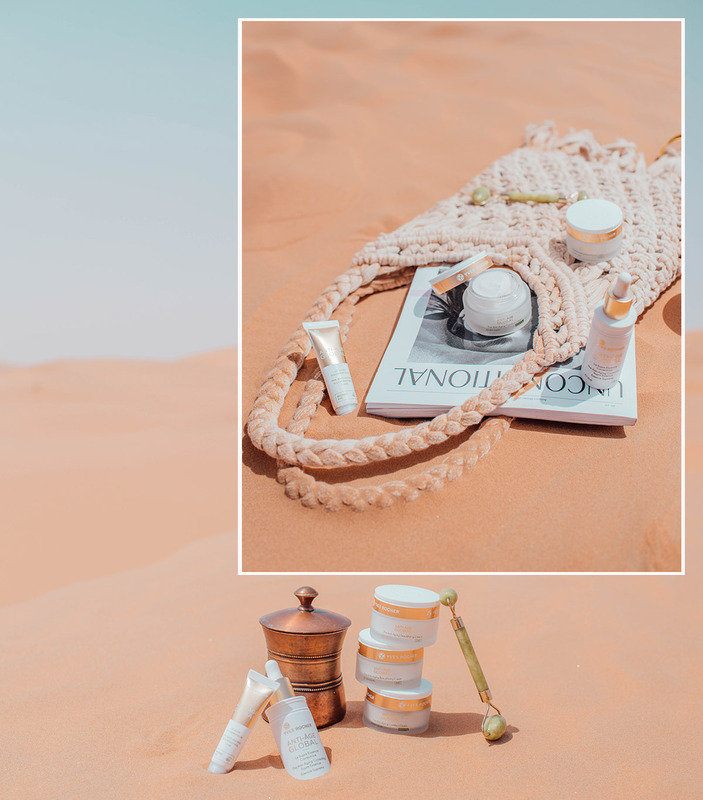 Today I want to share with you some of my favorite anti-aging products with you. I got this product because I heard it can help me renew the texture of my skin and give it a more radiant glow. Plus Yves Rocher is a brand known for using botanical ingredients, so I know this line is perfect for my sensitive skin with a bonus – smells amazing! First impression, this essence is incredibly light and hydrating. It dries very fast and your skin feels firmer and smoother within minutes of application. The texture is noticeably refined and radiant. By the second day, I noticed my skin was starting to show signs of firmness and my complexion was even. As you can tell, I was not leaving this product behind at home. I took it with me on my travels and it was a lifesaver. 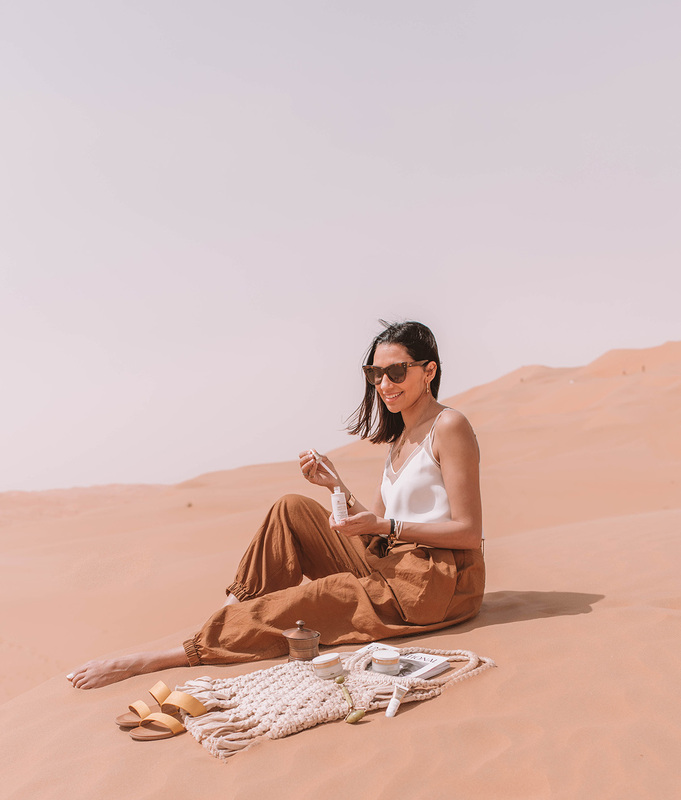 Being in the desert and in a resort where my hands and feet were noticeably dry and showing signs of fine cracks on the surface of my skin, my face was one place that didn’t mimic the texture of my outer extremities. This ultra-fluid deep penetrating serum essence formulated with licorice and illuminating properties helped smooth and hydrate my skin. Application Tip: Apply it every morning and evening right after you have cleansed your face and applied your toner. Ever since the twins were born, I have been obsessed with eye creams and gels to help me hide the fact that I get less than 5 hours of sleep a day. Yes, you read that right, I sleep less than 5 hours a day! There are the odd days (like vacations) when I am lucky to get more than 5 hours of sleep, but while I’m at home…sleeping beyond that magical number is a luxury. So getting an illuminating cream that melts at the surface of the skin, and helps me revive and revitalize the area around the contour of my eye is one I highly recommend to anyone who wants to hide the fact that they are sleep deprived. This product is enriched with botanical bud nectar which is packed with a unique regenerative ability. I love that I don’t have to cake on concealor to hide how tired my eyes look, just a light application is all I need with this cream underneath to help the skin around my eyes look younger, revived and refreshed. Application Tip: Apply both morning and night right after you have applied any serums on your face. Pro Tip: Store the product in a cool place so the silver applicator tip feels cool and soothing to your skin. I think you have already picked up the vibe by now, I discovered a new skincare line in 2019 and it’s Yves Rocher. I started using their products around early January and have been spending a great deal of time educating myself on this line. My skin tends to range from sensitive to dry. Because they tend to use botanical ingredients where 94% of the ingredients are from natural origin, is vegan-friendly and is mineral oil free, I have been on a major obsession with this brand. I’m have been using the Yves Rocher Daily Exfoliating Cleanser for quite some time and have switched the twins hand soap to the Mango Coriander Energizing Hand Soap. I can discuss more on these two products another time, but first I want to talk about their cream. This is the last product I put on before I go to sleep, or right before I apply my primer on for makeup application. You know I never go a day without moisturizing my face. 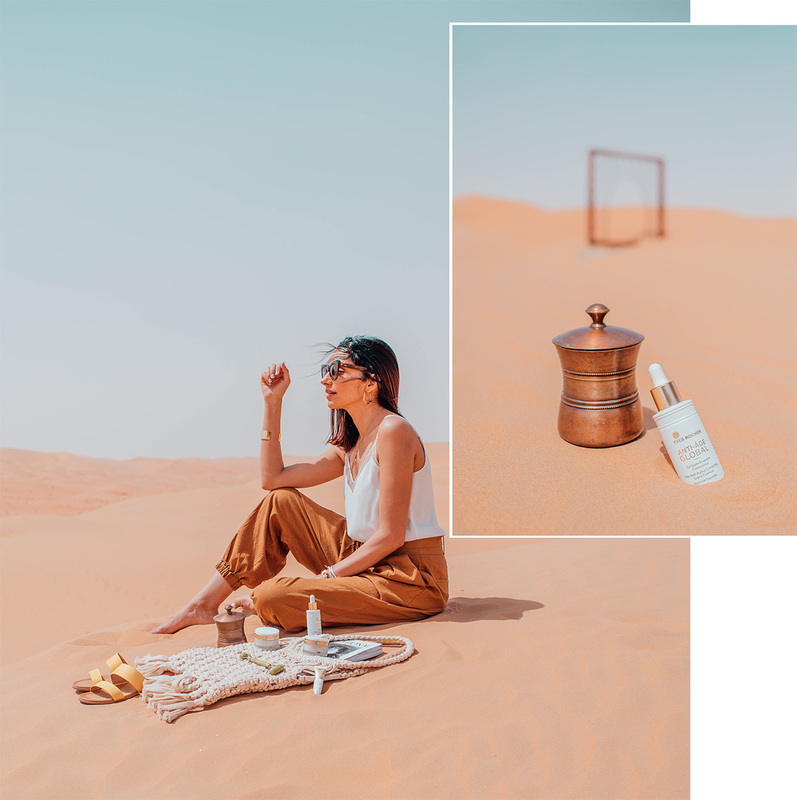 It helps me lock in the nutrients from serums plus protect my skin from my harsh environment, like how dry and humid the air is in my home because we have to blast the heat to keep us from freezing to death. Even though I have applied the Correcting Supra Essense and Illuminating Care eye cream, my skin needs something stronger to keep it looking energized plus reduce those pesky fine lines I started noticing late last year. The Anti-Aging Beautifying Cream from Yves Rocher (Day Formula) is perfect to help me keep my skin in check during the morning while firming up my skin. The texture of the cream is light and it lasts for a very long time. 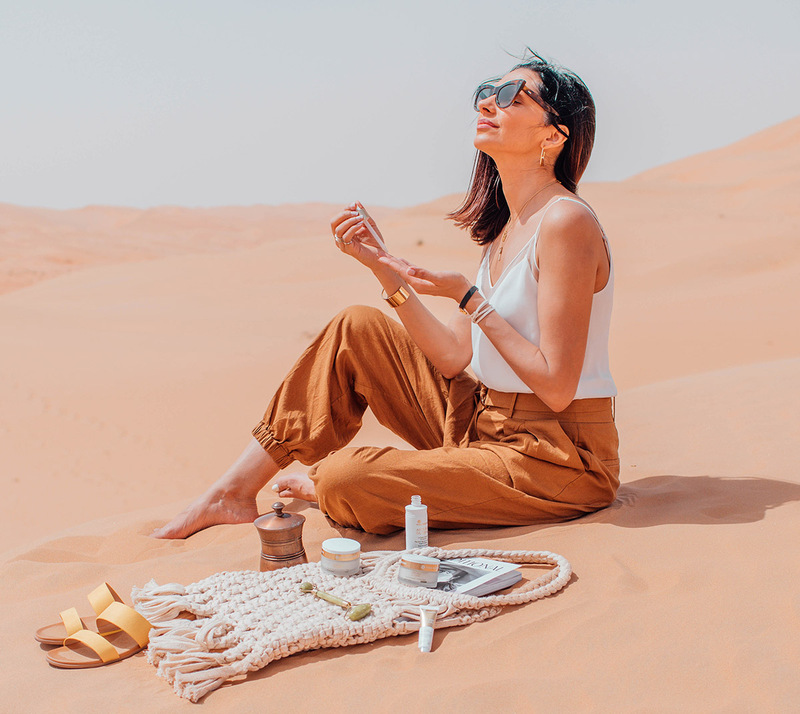 When I was in Dubai, I actually used the dry skin version because – duh I’m in the desert and constantly hopping from one sand dune to another. Now that I’m back home, I have reverted to using their cream for all skin type. Application Tip: Use the Anti Aging Comfort Cream at Night to continue in looking after your skin while you sleep. Doing this has helped me smooth out my skin and improve the over texture. Disclaimer: This post was sponsored by Yves Rocher but all thoughts and opinion are my own. I love Yves Rocher but haven’t tried this range yet!